Plot: Woody has always been confident about his place in the world and that his priority is taking care of his kid, whether that’s Andy or Bonnie. But when Bonnie adds a reluctant new toy called “Forky” to her room, a road trip adventure alongside old and new friends will show Woody how big the world can be for a toy. Breaking: Toy Story 4 is Coming in 2017! The sequel loosely teased for some time, The Walt Disney Company's Chairman and CEO Bob Iger today revealed during an earnings conference call that Toy Story 4 is on the way! John Lasseter, who directed the original and who now serves as Chief Creative Officer for all three of Disney's animation studios, will direct! 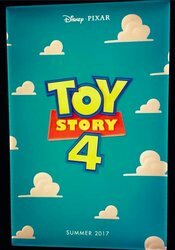 Although officially unconfirmed at this time, it's just about a certainty that Toy Story 4 will feature the return of Tom Hanks, Tim Allen, Joan Cusack and the rest of the hit franchise's diverse voice talent. Toy Story 3, released in 2010, grossed more than $1 billion worldwide. It has since been followed by a series of television specials continuing the adventures of Andy's toys. Toy Story of TERROR! premiered last year while Toy Story That Time Forgot is set to air on December 2. 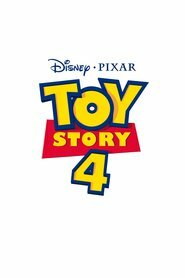 The script for Toy Story 4 will be provided by actors-turned-screenwriters Rashida Jones and Will McCormack, who previously penned and starred in Celeste and Jesse Forever. They're working from a story idea by Lasseter, Andrew Stanton, Pete Docter, and Lee Unkrich! Pixar's Galyn Susman will produce. I thought part 3 was a fitting end. I cryed about the whole way through . When thay where all holding hands facing thire fate. Just floodgates . Other cinima goers needed a boat. Gonna be pleased to see a fourth . I'm slightly concerned I cried so bad watching the 3rd with my GF, And I don't cry at films(Until then). I just grew up watching it was leaving for Uni the same time Andy was going to College it was just perfect, havn't watch it since i'm not that comfortable crying. Had to play a rugby game the night after watching TS3 at the cinema and I was not in the right frame of mind it was weird. Whoever claims not to cry at the end of TS3 is just lying. No I don't cry at movies (great picture though [emoji3]) and never have the closest I have come is probably the green mile. It show how good Toy Story 3 is that an animated film, can get people so emotionally evolved! BANG ON THAT WAS ME pd . I think it was the seaming finality of thire situation the way thay just looked and held hands . Toys became human with the genius of Pixar . We accepted and LOVED these guys like our own. I baught myself a Buzz and Woody as well as Mr Pricklepants . Our girl has a Lotso the toy is beautiful however I DO NOT let it anywhere near my 3 . @Drum18 I did not cry! Does that mean I have no soul? D23 Expo 2015 reveals 'Toy Story 4' Poster! At the D23 expo (via CNBC) Disney Chief Creative Officer John Lasseter has finally confirmed the plot for Pixar’s much-anticipated Toy Story 4, which he will return to direct alongside Josh Cooley, and it has set our hearts all aflutter. Bo Peep (and her sheep) was introduced as Woody’s love interest in the original 1995 Toy Story, as voiced by Annie Potts (Ghostbusters). She was conspicuously absent from Toy Story 3, only briefly glimpsed in Andy’s home movies after apparently having been sold. Whether they plan to bring her back into the fold somehow or if the story is a prequel remains to be seen. 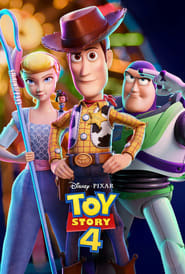 The script for Toy Story 4 will be provided by actors-turned-screenwriters Rashida Jones and Will McCormack, who previously penned and starred in Celeste and Jesse Forever. They’re working from a story idea by Lasseter, Andrew Stanton, Pete Docter, and Lee Unkrich. Pixar’s Galyn Susman will produce. Although officially unconfirmed at this time, it’s just about a certainty that Toy Story 4 will feature the return of Tom Hanks, Tim Allen, Joan Cusack and the rest of the hit franchise’s diverse voice talent. It will be released in theaters on June 16, 2017.